Always wondered how wolves see their surroundings? In Bavaria you can experience that on the very first Wolf hiking trail. 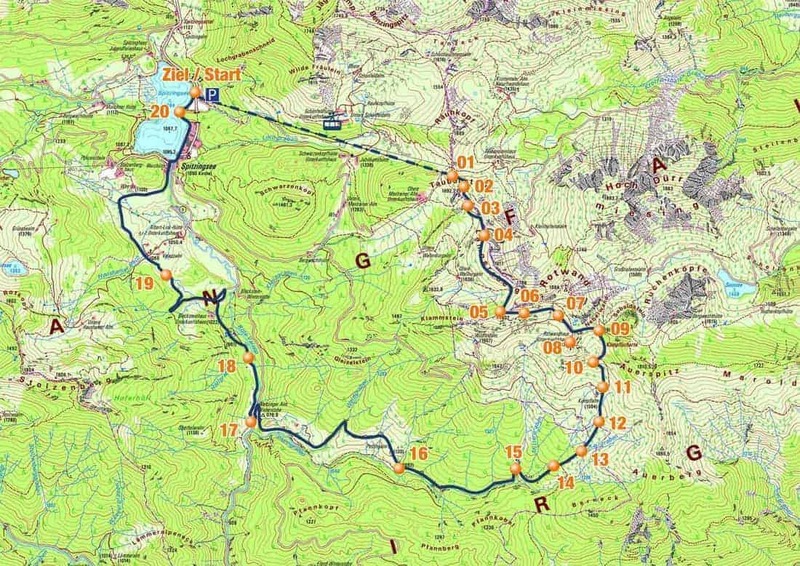 The 18 kilometer long hiking trail near the Spitzingsee was created in 2011 with the support from the Gregor Louisoder Umweltstiftung. There are 20 stations along the hiking trail where you can collect information and search for wolftracks. The trail was selected in a way that it shows the scenery from a wolf’s perspective. It takes you four to five hours to hike it. In order to protect the nature, there are no signs that mark the trail. You can use your smartphone to navigate and find the map here. The Wolf hiking trail is part of a project that was done by the Gregor Louisoder Umweltstiftung. Or take a look at the map in this post.